Dry potassium hydroxide is produced by evaporating the water from liquid potassium hydroxide (LKOH). It is sold in flake and walnut (briquette) forms. 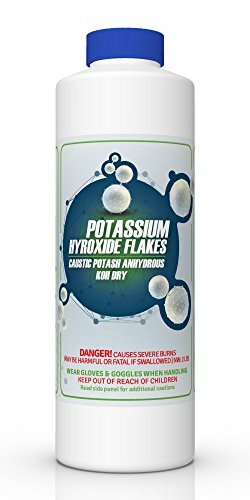 Flake potassium hydroxide is literally "flaked" off a large cooling wheel used to solidify the molten product. Walnut potassium hydroxide is made by compacting flake product into walnut-shaped briquettes for ease and efficiency of use.